It is imperative that all pets be up-to-date on vaccinations and show proof of vaccinations submitted at time of contract signing. Pet-Nanny, Inc. cannot provide service for aggressive animals, those with a history of nipping, biting, or pets whose vaccinations are not current. This is for the safety of the pet sitter and for the safety of the other animals we care for. All pets must wear identification tags while in our care. 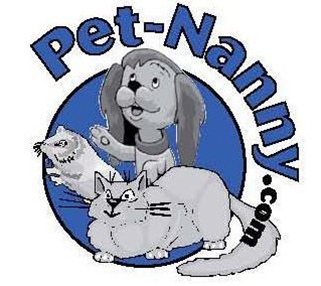 Pet-Nanny, Inc. welcomes disabled pets and/or those needing extra special care. We watch the weather very closely in this business. If there is a major snow storm coming, we will leave extra food and water out the day before if there is a chance we might be a little late. As soon as the roads are passable we will get to your pet ASAP. Thunder and lightning; we won’t walk dogs but will take them out briefly for a potty break. If your pet has any issues with thunder, please let us know so we can make them as comfortable as possible. Dog walking in extremely hot or freezing weather; we are very sensitive to your pet’s feet. If the Nanny feels the weather is too extreme for a long dog walk, we will give your pet a short walk or potty break and play time indoors. Tornados: If severe weather comes through our area we will go back to check on your pet and home free of charge. In the event of injury, illness, or other type of unavailability of your assigned pet sitter, another Pet-Nanny staff sitter will be assigned. It is Pet-Nanny’s policy to ensure that your pets and home are never left unattended. Pet-Nanny, Inc. does not recommend or participate in job sharing. While we understand the financial benefit of having friends and family share the visits, our Pet-Nanny, Inc. insurance and bonding policies do not cover job sharing. This is for your protection as well as ours. During the initial consultation you’ll give a working set of keys to your Nanny. Your key is left with the Nanny so he/she can come back for your next service. If you want a Nanny to arrange a separate pick up or drop off time for your keys there is a $10 fee each for time and travel. We are not responsible for keys mailed and don’t recommend it. Please do not ask us to return keys by locking them inside the home on the final visit. If you request to have your key returned, we can at your request, leave your key with a trusted neighbor or in a safe hiding place outside the home. We must be able to access the home for continuing pet care if you are delayed in returning. All reservations or changes to reservations must be made either through the website, via email (jconner@pet-nanny.com) or by telephone at 734-981-6108. Please do not contact your pet sitter directly. Please book as far ahead as possible to ensure we can provide service on the dates requested, especially for nationally recognized holidays. When you receive your email confirmation from Pet Nanny – your reservation is booked and confirmed. Please review your pet nanny confirmation for correctness. Please get back to us for any changes. 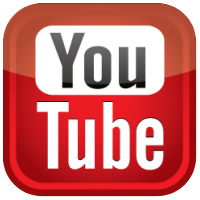 Payment is required at the time of reservation in order to secure your visits. You will be emailed a confirmation/invoice which will detail the upcoming visits and the amount due. You may put your credit card on file with us or mail a check to our office or pay thru Paypal before your trip. For mid-day clients, we email your confirmation/invoice approximately one week in advance of the upcoming weekly/month. This enables you will see all the dates we have for you for the upcoming month should you need to cancel or add dates. Payment is at the first of the month or at the first of each week or end of each week. Holiday cancellations made three weeks prior to first visit are refunded in full. Holiday cancellations made two weeks prior to first visit are 25% refundable for entire schedule.